Krazy Joe is back and joined by special guest co-host Kreg Steppe from the Technorama and Topic is Trek podcasts! This week we're joined by Dr. Trek himself, Larry Nemecek! We talk with Larry about the current state of Star Trek such as the recent cancellation of Paramount's Star Trek 14, the upcoming second season of Star Trek: Discovery and the news about the new Section 31/Philippa Georgiou series as well as his own latest endeavours. Larry continues to run Portal 47 ... Más informaciones which he decribes as an online mini convention all year long. Larry is also organizing L.A. Away Days this President's Day weekend. L.A. Away Days is a guided tour of some actual Star Trek filming locations. To keep up with Larry, find him at Portal 47 or his website, LarryNemecek.com ! To keep up with Kreg, listen to his other podcasts: Technorama and The Topic is Trek Special thanks to our first four patrons, Shawn Fisher, Nigel Blackwood, Todd, & Melissa Bartell, the Bathtub Mermaid! 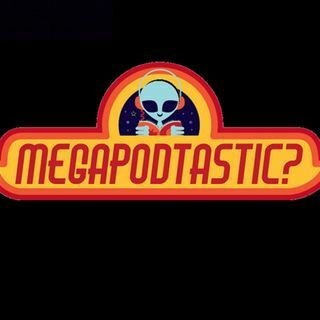 Help Support MegaPodTastic by buying a MegaPodTastic T-Shirt or some MegaPodTastic lady's underwear for your wife and/or girlfriend. She'll give you a high five for it! CafePress.com/MegaPodTastic Please become a fan of MegaPodTastic on Facebook, and subscribe to us on I-Tunes. Please send your comments to us at MegaPodTastic@Gmail.com or give us a review on I-Tunes. MegaPodTastic has a voicemail line! Call us at 610-624-1985. Give us a call...maybe you'll be on the next episode! Keep on wearing those pajamas! !